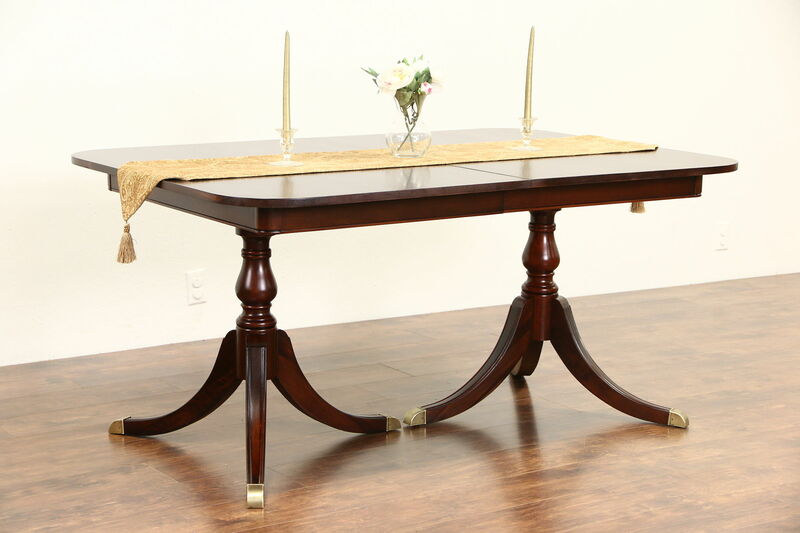 Signed by famous maker "Drexel" for their "Travis Court" collection in the 1950's, a Traditional mahogany dining table has two pedestals with brass feet. There are three original 12" wide leaves. The restored finish is in excellent condition on this American made vintage furniture. Dimensions are 42" wide, 30" tall, 62" long when closed and 8' 2" long with all three leaves in place.